The most successful of Rolex models, it may come as a surprise that the Lady-Datejust supersedes sales of men’s Rolex tool watches. On the other hand, perhaps it’s not a surprise since the Rolex Lady-Datejust is the quintessential women’s luxury watch. First unveiled in 1957, the Datejust created just for women quickly rose to its iconic status, and remains so today. 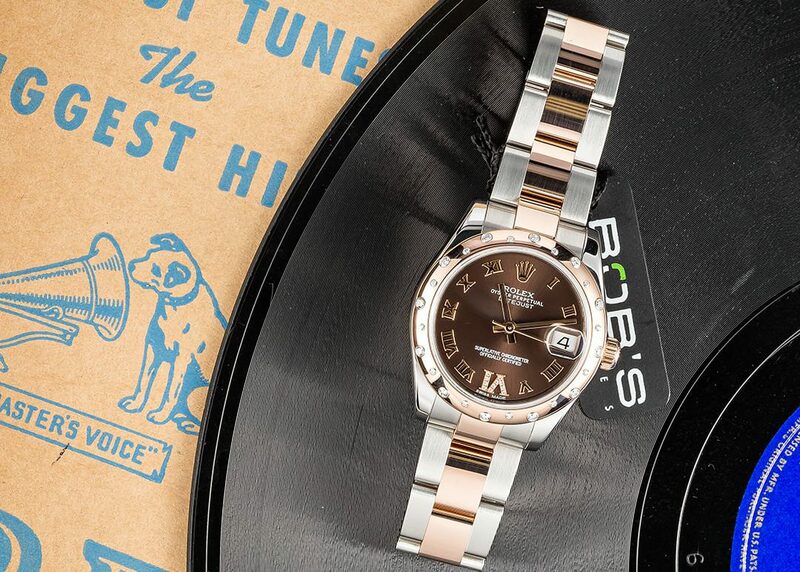 The appeal of the Lady-Datejust is the versatility of its range. It is available in all materials including stainless steel, white, yellow, and Everose gold, in addition to platinum. Furthermore, there are different sizes to choose and a variety of dial designs to suit all tastes. Once the perfect Ladies watch has been selected, it’s easy to never take it off as it will almost always wear just right. Here we take a look at a contemporary interpretation of the Lady-Datejust, the ref. 178341. The Rolex ref. 178341 retains the unmistakable characteristics of the Lady-Datejust model, yet manages to interpret them in a relevant and modern fashion. First, the size of the Lady-Datejust ref. 178341 is a very wearable 31mm. Larger than the traditional ladies’ Datejusts that measure below 30mm, the ref. 178341 is right on-trend by offering a bigger case. Furthermore, the metal choice for this particular Datejust is fresh and up-to-date. Opting for a mix of steel and gold highlights both the robustness and luxuriousness of the watch. Plus, warm Everose pink gold for a watch is a very popular alternative to traditional yellow gold, as seen on the wrists of celebrities, tastemakers, and fashionistas. The 18k Everose gold center links of the sporty Oyster bracelet lends an almost jewelry-like flair to the timepiece, while the pink gold bezel and winding crown contrast beautifully with the predominately stainless steel construction. The chocolate brown dial of the Lady-Datejust 178341 is the ideal shade to match the Everose gold center hands and Roman numerals. Also, the tasteful diamond decoration of the “IV” hour marker adds a lavish touch to the face of the ladies’ Rolex watch. The use of diamonds carries through onto the bezel, but rather than the customary paved diamond design, the smooth rose gold bezel is stylishly accented with 24 multi-sized diamonds. Matching the exterior beauty of the Lady-Datejust 178341 is the technical superiority within its Oyster case. Powered by the Rolex Caliber 2235, the proprietary automatic movement drives the time and date functions of the watch. And this being a Rolex caliber, wearers of the Datejust will enjoy optimal precision and reliability. Moreover, the COSC-certified mechanical movement’s Quickset capability means the date is set independent of the minute hand. Topping off the practicality of the Datejust is the Twinlock winding crown and fluted caseback, which consequently come together to provide a water resistance of 330 feet (100 meters). The success of the Rolex Lady-Datejust speaks volumes about its appeal. 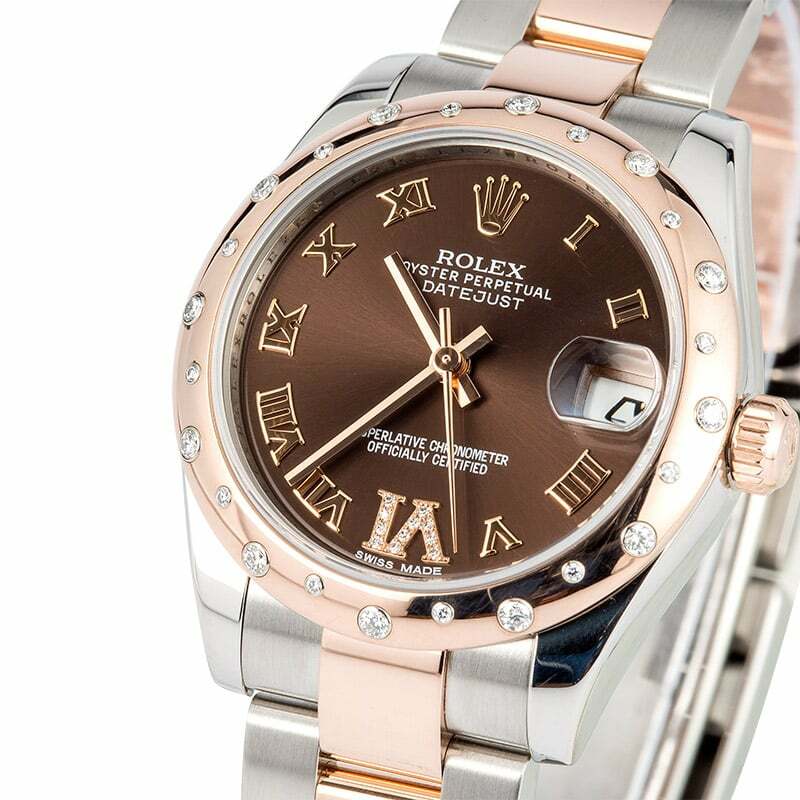 The flagship Rolex model has firmly established itself as the go-to luxury watch for chic women. And with fresh and contemporary iterations such as the Everose 178341, it will continue to be for a very long time.